Iran could be only "days away" from complying with the nuclear deal reached last summer, Secretary of State John Kerry said Thursday. 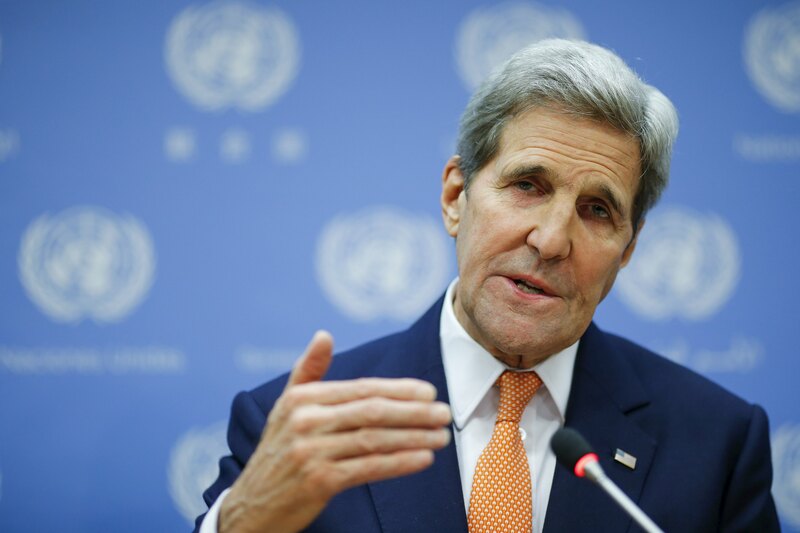 Kerry told reporters that he spoke to Iranian Foreign Minister Javad Zarif in the morning. "The foreign minister made it clear to me, they intend to complete their obligations with respect to implementation day as rapidly as possible," Kerry said. "And we are currently engaged, ourselves, in making certain that we're prepared to move on that day. And I think it could come -- without being specific -- sooner rather than later." Kerry spelled out what he called "very significant results" from the deal reached last July between Iran and the P5+1--the U.S. Great Britain, France, Germany, Russia and China. He said Iran has already shipped out most of its enriched uranium stockpile on a Russian ship. "With that, Iran literally shipped out its capacity, currently, to build a nuclear weapon," Kerry said. As a result, Kerry said Iran went from being able to develop a bomb in two to three months to nine months overnight. Once Iran complies with all of the requirements and the deal is fully implemented, the U.S. and other world powers will begin to lift many sanctions that had been imposed against Iran. While Kerry did not mention Iran's recent ballistic missile tests, he said the U.S. would continue to address those activities by Iran. He also said the U.S will continue to press for the return of Americans who have been detained by Iran.